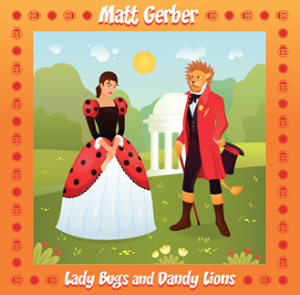 Fast forward to November of 2017 and, like Vitamin Joy, from outer space, Matt Gerber’s latest full-length solo album “Lady Bugs and Dandy Lions” has arrived, providing a dose of up-beat/kid-friendly music to charm and delight listeners. 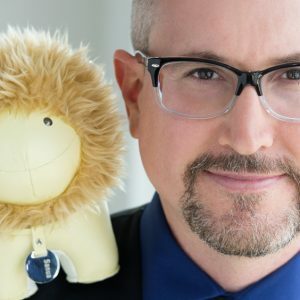 “Lady Bugs and Dandy Lions” is produced by Harrison Fine (2 time recipient of NOW Magazine’s Best Producer award for 2014 & 2015).Matt is an avid board game player and movie buff, as well as acting as Music Director for the talk-show format live program Mullet’s Night Show since 2016. I’m pleased to announce that my music is finally taking off. Literally! Anyone flying with Qantas or Jetstar over the next while will have the opportunity to listen to “Hide and Seek” on their in-flight radio channels. 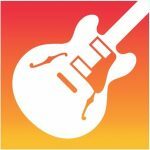 A big shout out to Kinderling Kids Radio for helping my music to reach new heights! – May 1 2018. You're A Lion, Ain't That Dandy!